You might remember a blog post recently about a tough kid with a broken tooth. If not, click here to read about Jarad’s dental emergency. It’s pretty scary to break a tooth and have to go see the dentist unexpectedly, but Jarad was pretty optimistic when he came to our office. 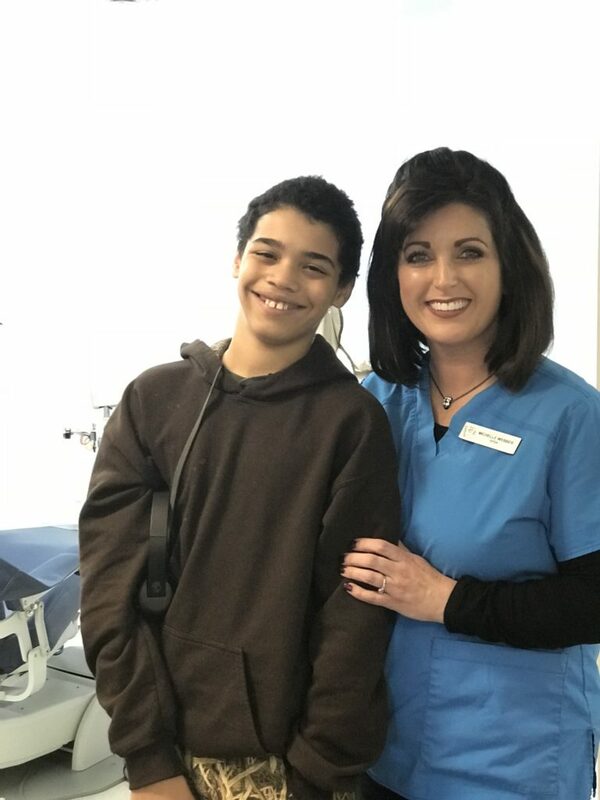 We like to think he had good reason for his attitude because the only thing we like better than creating a beautiful smile is sharing those smiles in a selfie with our patients. Check out Jarad’s second visit. 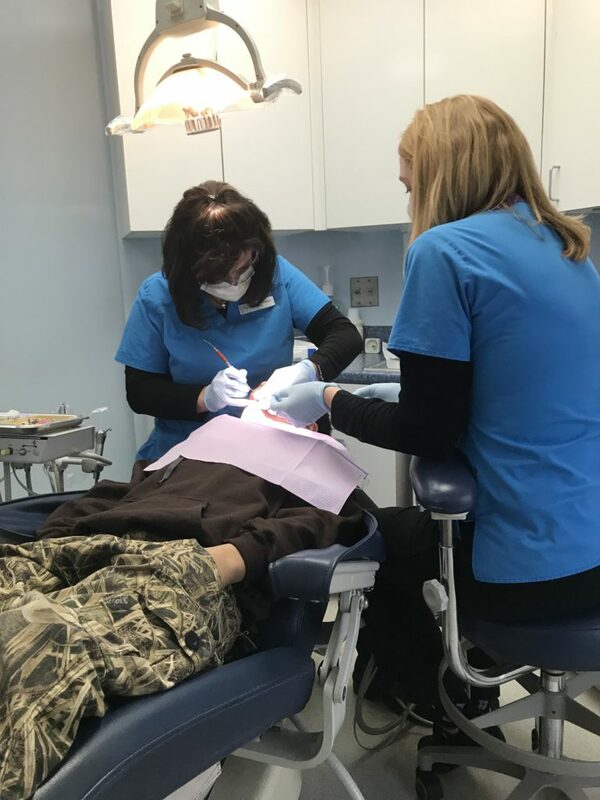 That’s Michelle Webber, our Expanded Function Dental Auxiliary (EFDA for short) working on him, with Brenda assisting her. We’re really proud of Michelle getting her EFDA license so that she could do more for our patient’s smiles. When Jarad came in for his second visit, it was exciting to see that the tooth had not changed color and was not painful. That’s great news because it means a root canal may not be necessary! There’s a lot of ways to restore a broken tooth. In Jarad’s case, Michelle went with a chairside veneer. Michelle and Brenda working on Jarad’s smile. We didn’t think Jarad could smile any brighter than he did on his first visit but look at him now! You can really see what Michelle means when she says she puts all her love into her work. It’s hard to say who looks happier, Jarad or Michelle! 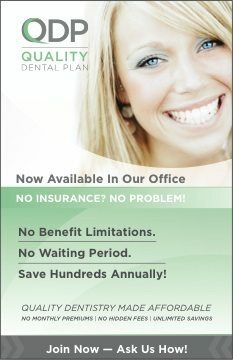 Keep us in mind if you have a dental emergency, a broken tooth, or just a smile that needs a makeover. 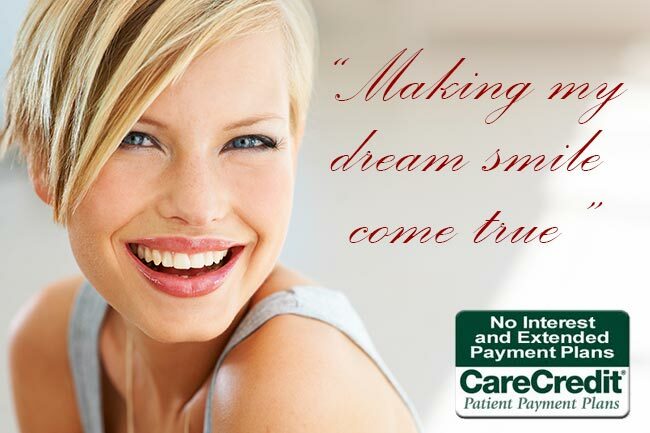 Give us a call at (207) 236-4740 and we’ll give you a smile you’ll be proud to show off.